Standard Bank is sponsoring the South African Cricket Team during the inaugural Twenty 20 World Championship. 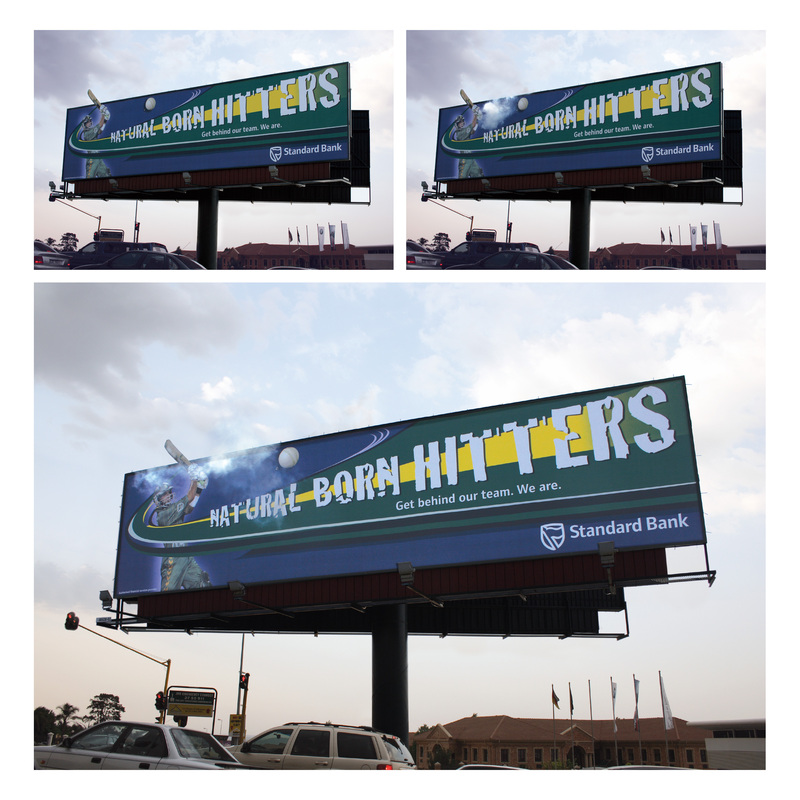 TBWAHunt Lascaris created the line ‘Natural born hitters’ and calls on all South Africans to ‘Get behind our team’. To bring the concept onto a billboard, they placed a smoke machine between the bat and the ball. When the smoke machine goes off, it gives the illusion that the ball has been hit with so much power, it is smoking.